I hate to tell y’all this but I think summer is closing up for the year. Check out that empty beach in Mallorca. Boooo Hoooo. Well, at least the weekend is supposed to be lovely. But then it’s back to work for me too. Back to life …. back to reality. Blogging while procrastinating packing for my trip to the states tomorrow. I am The World’s Best Procrastinator. It’s true. Do you know the store Müller? They’re in Germany, Spain, Austria, Switzerland, Croatia and Slovenia. Kind of a strange assortment of countries but anyways, I am so happy Müller is in Spain. It is my home away from home CVS drug store. With a plethora of perfumes, cologne, beauty products, pet food, food items, tea galore, art supplies and a whole bunch of other stuff. Check out my purchases from today – spinners for my nephews, my favorite hibiscus tea, coffee beans, lash boost, last strengthener, Clinique mascara and lipstick (LOVE CLINIQUE), John Frieda sheer blonde shampoo (just got my hairs did) and some milk. And I will let y’all know how the lash boost works. I know you ladies want to know. Now you know about Müller. If you haven’t yet and you live where there is one, go check it out. And because I just really had to – Müller can also be spelled Mueller for people who don’t have the umlaut ü – learn something new every day, huh. And it always reminds me of one of my favorite childhood movies Ferris Bueller’s Day Off. Alright, off to pack. New Orleans here I come!!! 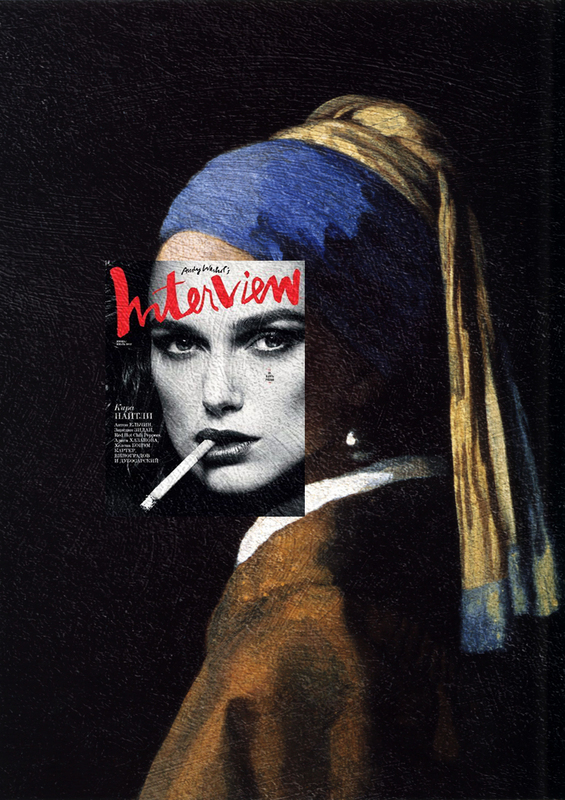 thinking: about art classes – new class teaching/doing art in English. SO EXCITED! wondering: wondering – more hoping that DeVos will not be voted for secretary of education. vote NO. Let’s reminisce. Shall we? Well, today is my birthday. And here I am writing a post. 🙂 See my dedication?! Yesterday I was a bit down. Do you ever get the birthday blues? Thinking about where you are in life and nothing being like you thought it would be. Something like that. But then I remember that I have a wonderful life and nothing is perfect – even though some people sure make it seem like it is on their FBook and Instagram posts. So, here I am on the big day. A happy girl, with a fantastic man in my life who loves me unconditionally, living on a gorgeous island. AND a new iPhone 6S in her hand. Whoo Hoooo!! I can finally download music.ly and possibly Pokemon Go (or is that already not cool?). My iPhone4 was so old it wouldn’t let me download any new apps that need iOs 8. Rainbow Colored Heart Laces – These were in my sneaker roller skates! Awwww, an old library card. 90s Clear Phone . Had it. LOVED IT. Ribbon Barrettes. Jeannie and I tried to make these again – not as easy as it seems! And Lloyd Dobler. Never forget the Lloyd. 1. Have you heard about the new button for gmail? If you have an “oh, crap I shouldn’t have sent that email!” moment, they have the button for you. Well, at least for 30 seconds. Then you are SOL. 2. Congrats on the new emoticons out soon!! Esp the taco, I love tacos. But Spaniards are still waiting for their paella emoticon. Sign the petition now! 4. Sorry, not sorry. Do you say sorry too much? NYT article about Why Women Apologize And Should Stop. I am guilty of it and I agree, time to stop! 5. 10 ways to take care of yourself before you burn out. Good list, I try to do all. You too! 6. Do/Did you have a cat with FIV? I did – And I miss him soooo SOOOOO very much. I was asked by this site to help bring more information about having/raising a cat with FIV. If you do, it would be so helpful to fill out the questionnaire to raise awareness and give your own personal story. Long live my Growler!! I really like this y’all. I have never been into the writing of New Year’s Resolutions. They always seem to disappoint or frustrate because you never end up keeping most of them. So this year I decided to keep trying to be a better person. That’s it. Full stop. I’ve been trying to make a very conscious effort to find a little more balance and to simplify my surroundings. My boyfriend constantly feels I have these “piles” of things here, things there. Which maybe I do, but maybe I don’t. I know where everything is but I also know that I have too much stuff. Trying to disconnect from the internet world is a biggie for me. Too much time spent on the computer with being dragged into a post on Facebook or a YouTube video that leads to more videos or all those fantastic ideas that I rarely look at again on Pinterest. Even just checking things – your email, your bank account, your credit cards, your blog! Let’s try to step back from these and make more time for you. Maybe meditate, maybe a bike ride, maybe some lovely quiet time to read a book. All of those latter ideas sound so much better than than the former. Right? When I saw this post, the 30-Day Minimalism Chart on the blog Into Mind, I knew this was awesome. Sign me up. 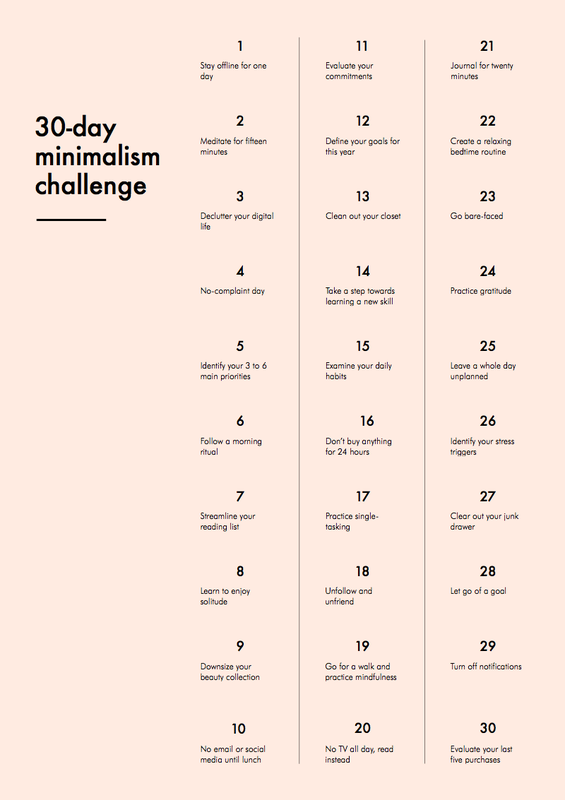 “30 one-day assignments to help you dip your toes into minimalist living, discover lots of new things about yourself and get a big head start.” I am going to print this out and do one assignment a day, in no particular order but never to skip a day. Who is with me?